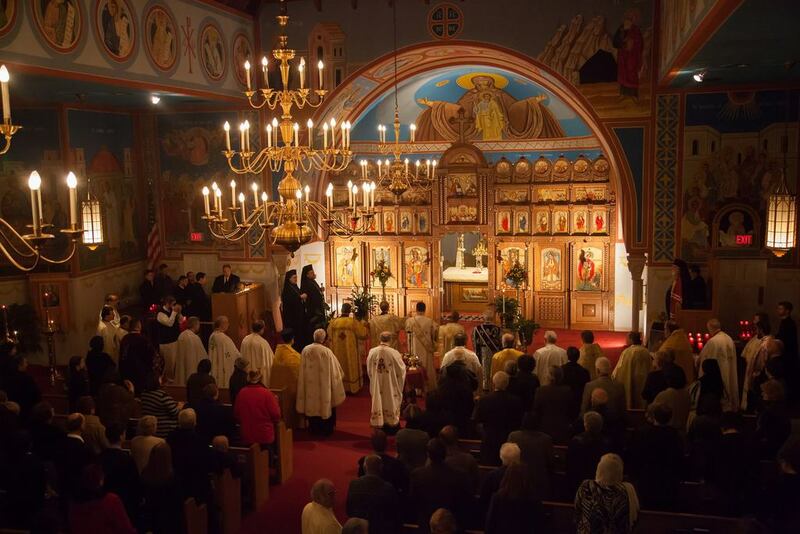 On Saturday evening, November 8, 2014, our local Detroit area Orthodox community participated in the Romanian Orthodox Episcopate of America’s (ROEA) celebration of the 30th Anniversary of the Enthronement of His Eminence Nathaniel as Archbishop of Detroit and Ruling Hierarch of the Romanian Orthodox Episcopate of America. 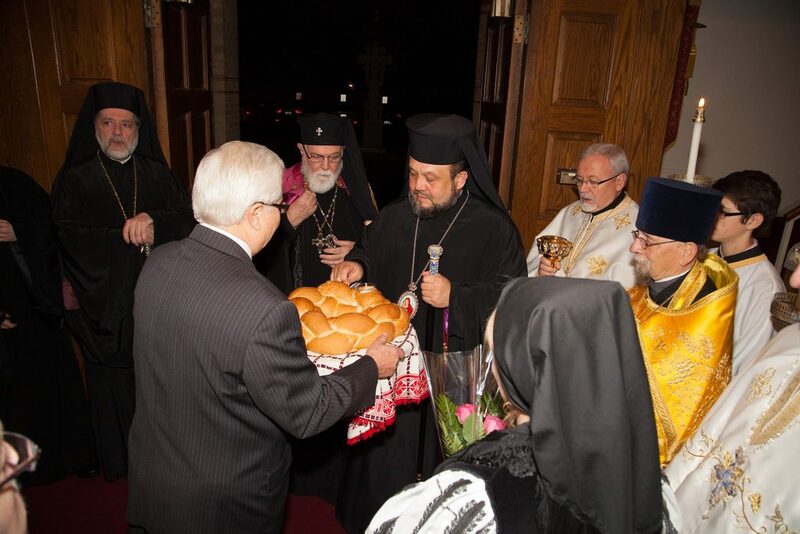 The event was hosted by St. George Romanian Orthodox Cathedral in Southfield, beginning with Great Vespers and a Service of Thanksgiving in the presence of the precious relics of St. George the Great Martyr and St. Nektarios of Aegina (whose feast-day was November 9). 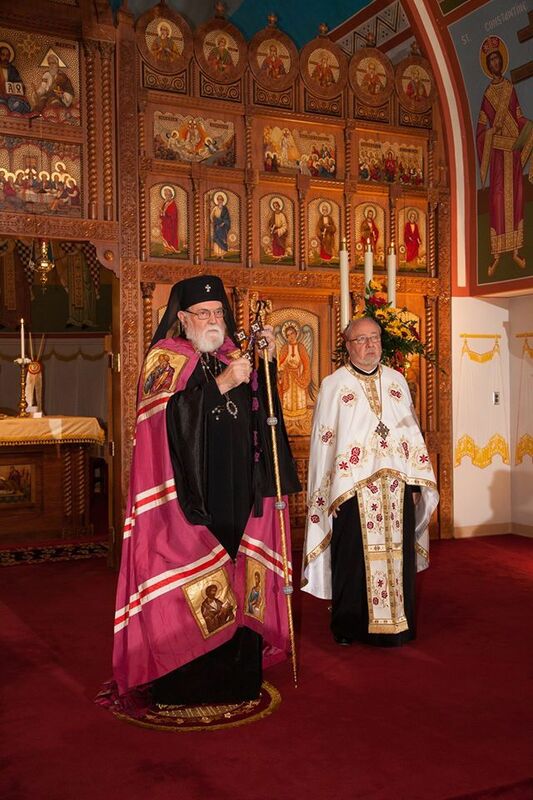 Hierarchs joining Archbishop Nathaniel on this milestone occasion were His Eminence, Metropolitan Nicholas of the Greek Orthodox Metropolis of Detroit and His Grace Irineu, Bishop of Dearborn Heights & Auxiliary Bishop of the Romanian Orthodox Episcopate of America, Abbott of Holy Ascension Monastery in Clinton. Concelebrating with them were about 25 priests and 5 deacons, with Protopresbyter Laurence Lazar, Dean of St. George Cathedral, presiding. The Very Reverend Mother Gabriella, Abbess of Holy Dormition Monastery in Rives Junction, was also present. 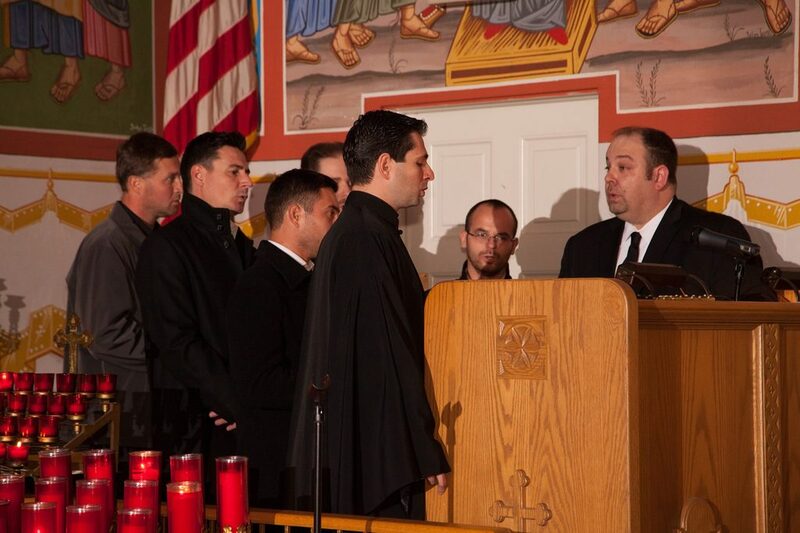 The responses were beautifully sung and chanted by a male ensemble of 7 voices, led by Subdeacon John E. Lazar. 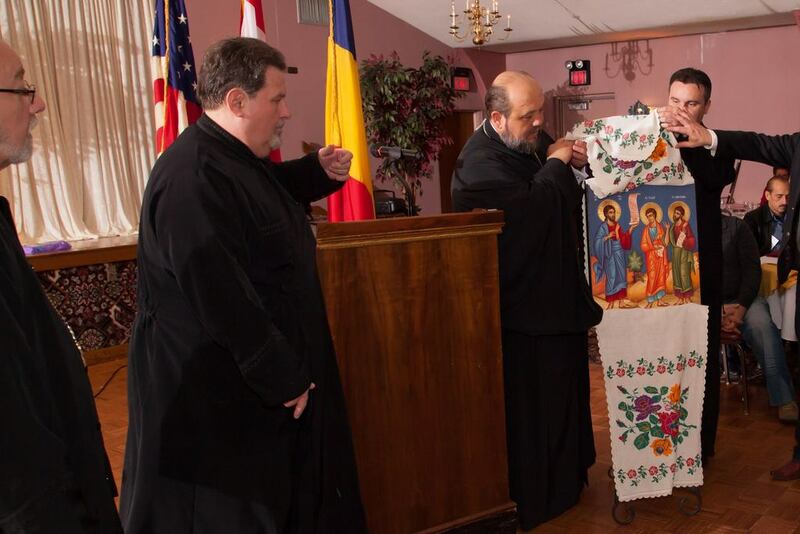 In addition to the many Romanian clergy and laity present – some coming from Ohio, Indiana, and other states – there were also numerous clergy and faithful from Orthodox Christian parishes throughout Metropolitan Detroit. 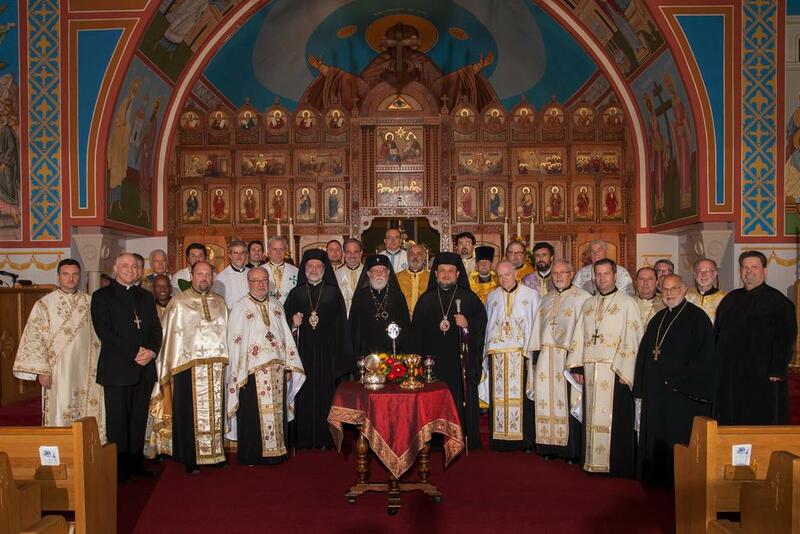 Many of the current and past officers and members of the Council of Orthodox Christian Churches (COCC) were also present. 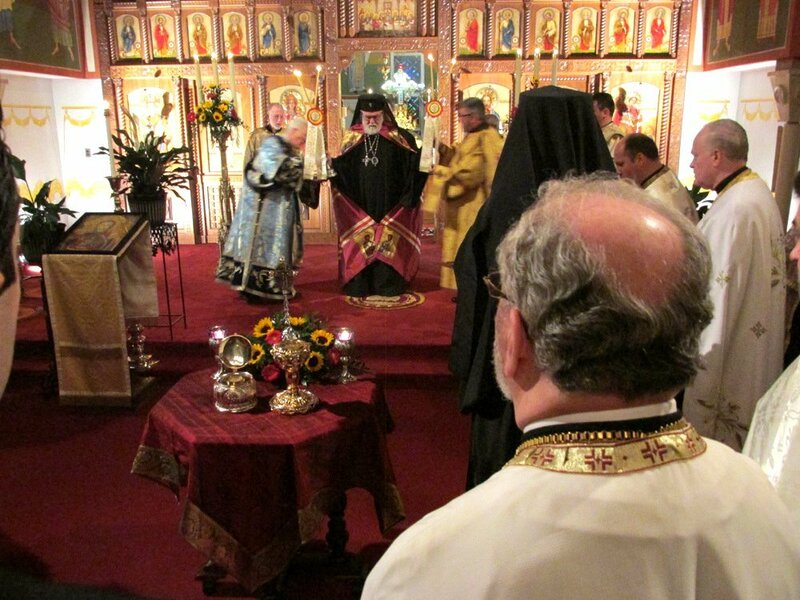 This expression of unity was an appropriate tribute to His Eminence, who has been dedicated to building pan-Orthodox unity in America during his 30 years as the ruling hierarch of the ROEA. 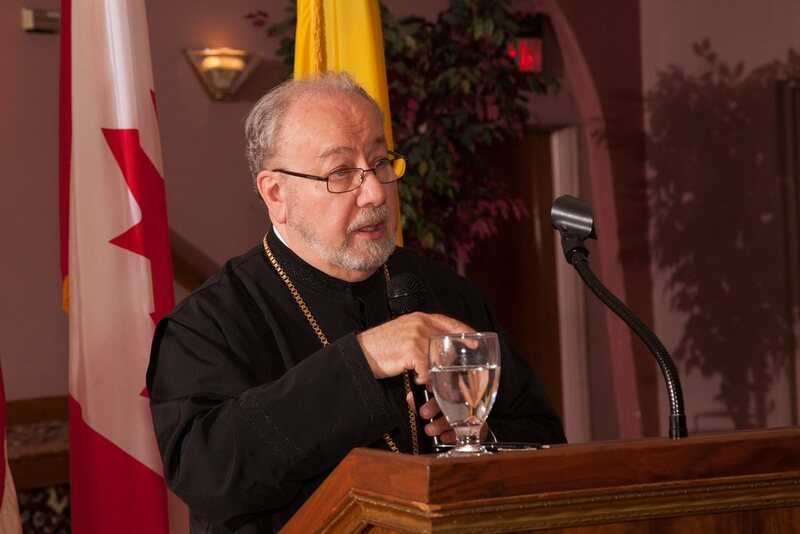 Following the prayerful Vespers and Thanksgiving services, and veneration of the holy relics, there was a glorious reception in the cathedral’s spacious and lovely Cultural Center, that was indeed a worthy tribute in honor of Archbishop Nathaniel’s 30 years of labors in the Lord’s vineyard. The large hall was packed, with almost every seat taken. 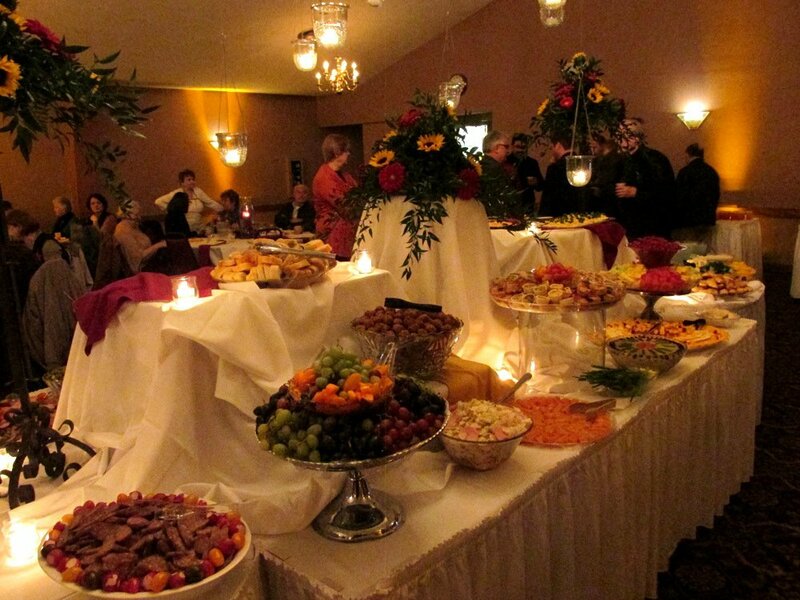 Beautifully arranged and decorated tables were filled with an impressive variety of delicious hors d’oeuvres and desserts, which were enjoyed by all. 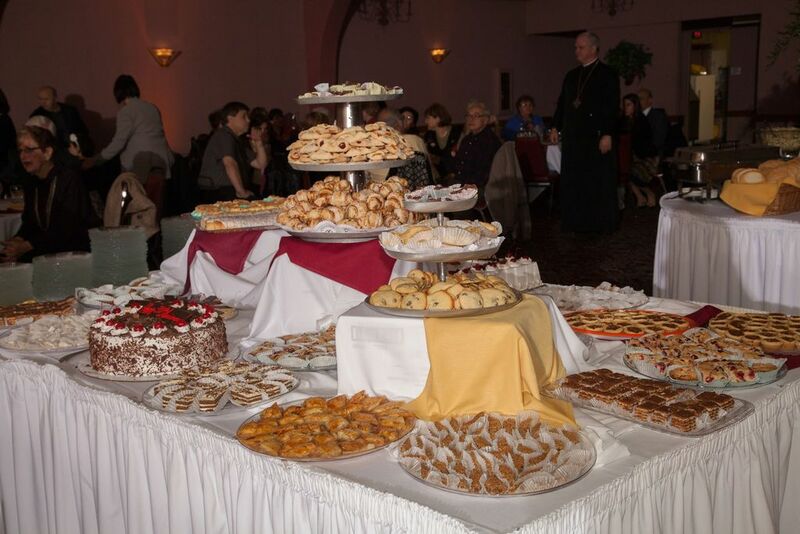 Two exquisite torte cakes were offered by the monks of Holy Ascension Monastery. 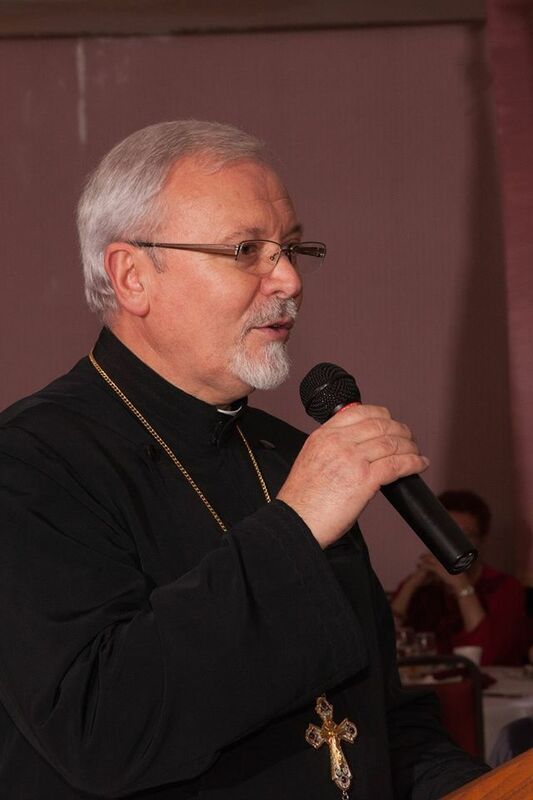 After the food and fellowship, comments in honor of the occasion were offered by Protopresbyter Laurence Lazar, Very Rev. Dr. Remus Grama of St. Mary Cathedral in Cleveland OH, H.G. 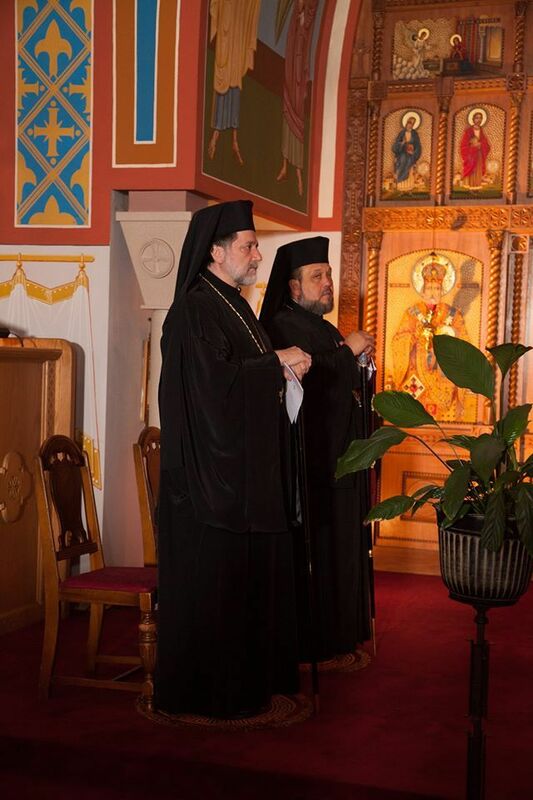 Bishop Irineu, and H.E. 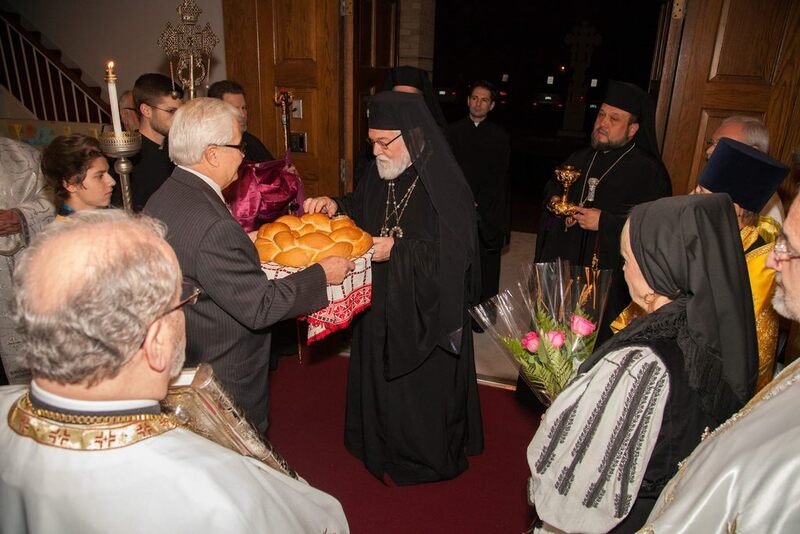 Metropolitan Nicholas, and special gifts were presented. 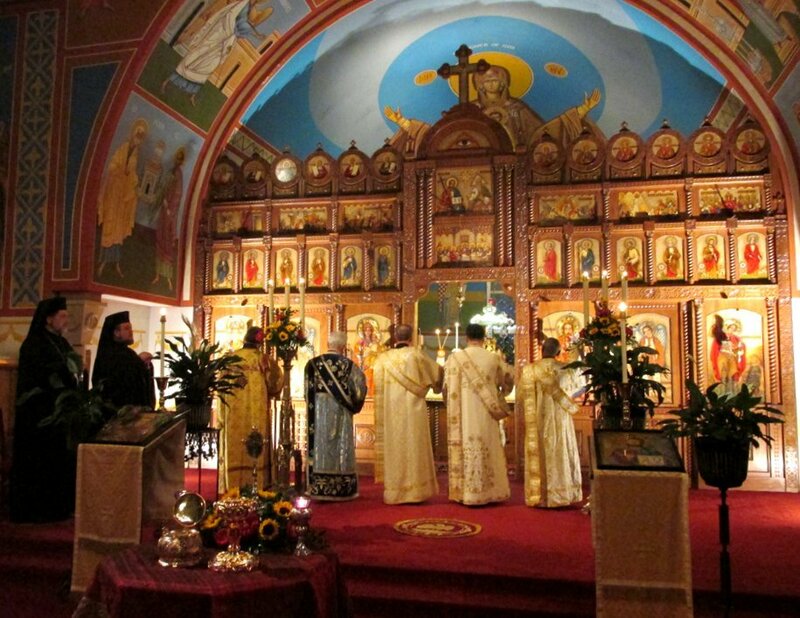 A ten-voice ensemble of the COCC’s Orthodox Choir of Detroit, conducted by Matushka Victoria Kopistiansky, then offered a special short choral concert of beautiful Orthodox hymns. 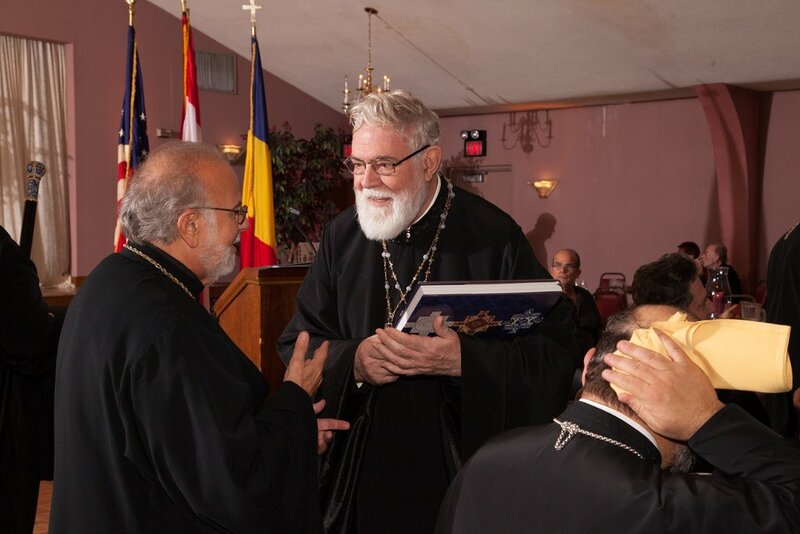 A superb 142-page, full-size color commemorative book of countless photos, letters of congratulations and several articles documenting Archbishop Nathaniel’s life and his contributions to the Romanian-American Orthodox Church, edited and designed by Sdn. 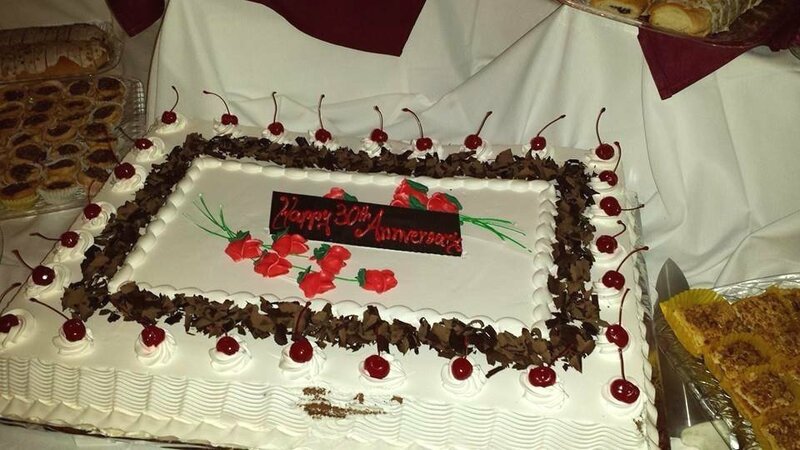 John E. Lazar, was distributed to everyone present. The evening’s celebration to honor and pay tribute to H.E. 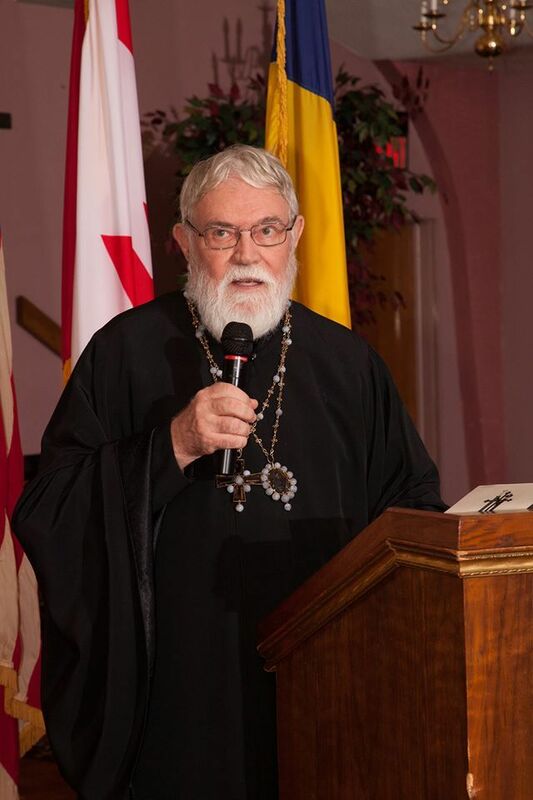 Archbishop Nathaniel for his 30 years of service as ruling hierarch of the ROEA ended with His Eminence himself offering a few reflections and thanks. The cathedral, as usual, did an exquisite job in arranging and hosting this marvelous event.